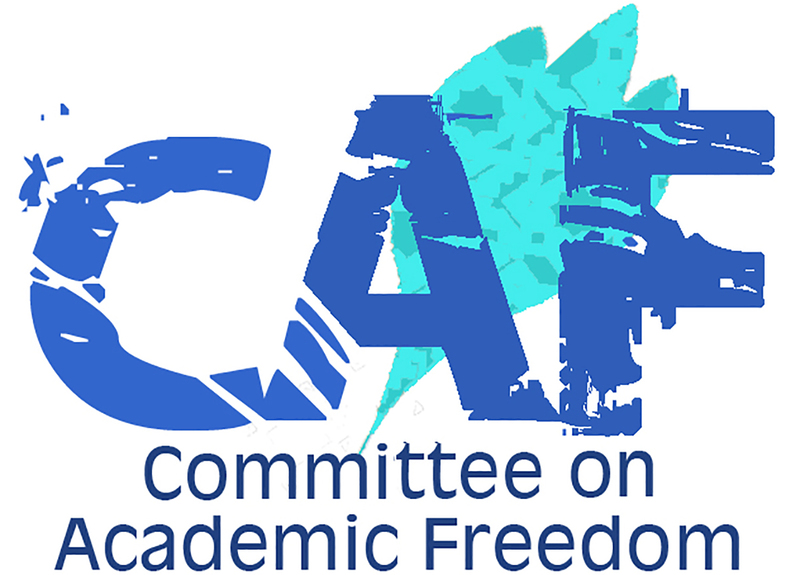 We write to you on behalf of the Committee on Academic Freedom of the Middle East Studies Association (MESA) to register our grave concern about the deteriorating academic and political freedoms in Egypt. We are particularly dismayed about the recent treatment of several Egyptian and foreign researchers, journalists and legal professionals who have been detained at the country’s airports and, in some cases, barred from entering or exiting Egypt. According to reports by local and international non-governmental organizations, interventions by the security staff at Egyptian airports and at Egyptian embassies abroad have been on the rise. Human Rights Watch (HRW) has documented at least 32 cases between December 2014 and November 2015 in which Egyptian airport security officers confiscated the passports of Egyptian political activists and employees of nongovernmental organizations. In addition, a number of researchers, journalists and legal professionals have been subjected to unlawful detentions and the interruption of their travel into and out of Egypt by state agencies. We draw your attention to five such recent cases. In October 2015, the journalist Mahmoud Mostafa was arrested at the airport as he was about to board a plane to London to pursue studies in the United Kingdom. He was prevented from leaving the country. On November 29, 2015, Ismail Alexandrani, an expert in the study of extremism, was detained at Hurghada International Airport, as he was on his way back to Egypt from Berlin, where he had delivered a paper at a conference entitled “Deconstructing Islamist Terrorism in Egypt," organized by the German Council on Foreign Relations. His detention was reportedly triggered by a memorandum against him issued by the Egyptian Embassy in Berlin. On January 14, 2016, poet and novelist Omar Hazek was prevented from traveling to the Netherlands, where he was to receive the Oxfam Novib/PEN Award for Freedom of Expression. Later that month, Walid El-Sheikh, an Egyptian working for Deutsche Welle (DW) was held at Cairo International Airport upon his arrival from Berlin. His detention followed security reports issued by the Egyptian Embassy in Berlin concerning his participation in protests and his membership in a local NGO dedicated to cultural activities in poor neighborhoods. On February 3, 2016, human rights lawyer Gamal Eid was informed, as he was preparing to board a flight to Athens from Cairo International Airport, that he was banned from leaving the country. According to legal experts, while airport harassment has become “conventional,” a ban indicates that a prosecution is probably in process. The restrictive and intimidating measures that Egyptian security agencies use to prevent the country’s citizens from traveling abroad are clearly on the rise. Not only are the reports of increasing detentions alarming, but the travel bans violate Article 62 of the Egyptian constitution, which states that "no citizen may be prevented from leaving the state territory, placed under house arrest or prevented from residing in a certain place except by a reasoned judicial order for a specified period of time and in the cases as defined by the law." Furthermore, in none of the cases listed above were judicial orders presented to justify the detentions and travel bans. Equally disturbing, in some of these cases, investigations were begun without the detainees’ being allowed to contact a lawyer, according to Egyptian law, security officials must immediately inform detainees of the reasons for their detention and allow them to speak to their lawyers. An investigation must not begin without a lawyer present. Added to the unlawful treatment of your own citizens, several reports document that foreigners, too, have been affected by seemingly arbitrary detentions and travel bans. We draw your attention to two such cases. On January 29, 2016, a German literature scholar of Egyptian descent, Atef Botros, who planned to visit Egypt on a valid tourist visa, was denied entry upon arrival at Cairo International Airport. In fact, Atef Botros was held by airport security for about seven hours, after which he was informed that he was barred from visiting Egypt for life and forced to board a plane back to Germany. We are deeply concerned about both the unlawful detentions and the unconstitutional bans on Egyptians traveling abroad. Indeed, the behavior of the country’s security personnel gives the impression that they no longer feel bound by the country’s laws. We are equally dismayed by the harassment and detention of foreigners at the country’s ports, and their denial of entry in at least one case. The fact that some of these detentions and bans are reportedly carried out at the instigation of Egyptian embassies abroad is indicative of a growing police state, which forces civilian institutions, here the Foreign Ministry, to carry out security functions. On several occasions in the past, we have written to you to express our grave concern about the erosion of academic freedom under your government, which has used executive orders to authorize restrictions such as those described above. We call upon you to ensure that all state agencies, in particular the country’s security services and police, respect and protect the right of scholars to conduct their work, and that researchers, both Egyptian and foreign, are granted access to research sites. Lastly, we alert you to the fact that human rights reports suggest that academics, journalists and legal professionals are in greater danger of falling victim to arbitrary state repression today than at any time since the establishment of the republic in 1953. We urge you to take note also of the mounting international attention to the ongoing erosion of political and academic rights and freedoms in Egypt.